LOS ANGELES – California state officials will conduct an audit of L.A. County’s Department of Children and Family Services to determine, in the aftermath of the death of a 10-year-old boy allegedly tortured by his mother and her boyfriend, whether the agency is doing enough to protect children, it was reported Thursday. The California legislative audit committee approved a request for the review from state Sens. Ricardo Lara, D-Bell Gardens, and Scott Wilk, R-Santa Clarita, and Assemblyman Tom Lackey, R-Palmdale. 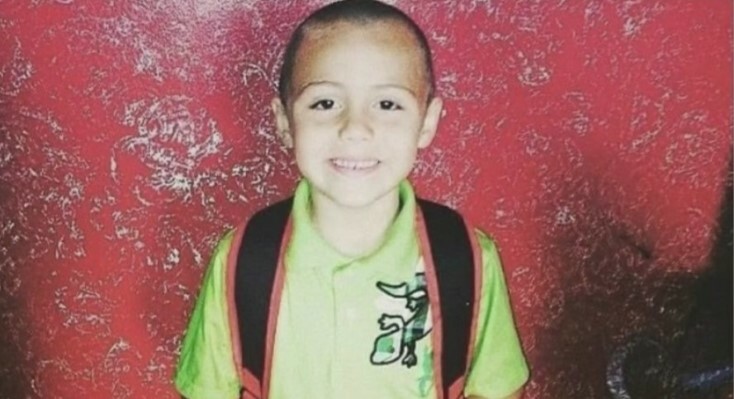 “Unfortunately, this is not an isolated incident,” their letter to the audit committee said, referring to the 2013 death of 8-year-old Gabriel Fernandez, who was also tortured and abused for months by his mother and her boyfriend, allegedly because he suspected Gabriel was gay. 20 comments for "Report: State to audit LACDCF"
From abortion to the new law protecting child prostitution SB 1322… California hates children. All of the warning signs were there. It all boils down to this; DCFS was not going to make any money off of these children’s parents. They didn’t care about their children much less about what DCFS thinks. DCFS wouldn’t make money from the parents doing their programs because they dont comply. They only remove children from homes that will generate money. From parents who actually love their children and will jump through any of the hoops thrown at them to get their children back. They claim failure to protect against these parents. When pointing the finger they have three pointing back at them. They are the ones who fail to protect. DCFS also has one voice. The people who make decisions in these cases generally have never met the children or parents. If they see there is a way to make money out of the situation they can play God in the lives of these people and remove children from loving homes causing them more trauma than the original incident in the first place. There was nothing done with this system after Gabriel, because DCFS has nobody with authority over them. No checks and balances. Anyone that you are turned to in order to make a complaint against them is actually part of the DCFS system, and probably the one who made the unfair decision in the first place. Someone needs to be given authority over this entity, along with some checks and balances emplimented in order for them to be held accountable for their actions. All that being said, in a nutshell, it’s all about money. Sad and frustrating. If you ask me…. DCFS should be disbanded. It is simple as that. I totally agree! Obviously, this is a failed system! Recently, a police officer offered his opinion, to me, saying, “CPS” is nothing, but a joke”! The majority do not do their jobs and really don’t care! It needs to be completely reconstructed to protect and save our children! How is it that we have funds to help illegals with welfare? To house illegals children that were bused here, but we don’t have funds to investigate abused children? Why are we housing illegals in our prisons? Why should we feed and house them? Why aren’t they being sent to their country to serve time in their prisons? Why it they are illegal they still get approved for food stamps and cash and The housing?While there are American citizens homeless in our streets. Send these people back to their country. They get paid under the table and their wives collect welfare and they abuse our system and live better than many of us. And they don’t pay taxes. Going back to the topic, children should be first priority when it comes to abuse. Child services, stop looking at your manicure and care about those poor kids. Too many innocent children are dying please. Why is it that Trumpists think that the entire world should just do whatever idiotic thing Trump comes up with off the top of his head? By the way, about half of your “why do we…” type questions could be answered “we actually don’t.” Stop believing every bit of idiocy that gets pumped into the right wing echo chamber. What the heck is wrong with these people and the gay thing,this is a child really people they have no concept of being gay at this age,saying that he likes boys there is nothing wrong with him saying that hes just an innocent child my God people seriously,13calls to CPS and how many calls to CPS for poor Gabriel,&with both innocent children CPS even went to both these boys homes and still turned&walked away,&with Gabriel it was even his teachers that were calling CPS several call had been made to CPS from his teachers & CPS went to Gabriels home & again turnred and walked away cause their NOT DOING THEIR JOB AND THAT IS TO PROTECT THESE CHILDREN AND THEY HAVE FAILED SAVING THESE ABUSED CHILDRENS LIVES,ALL THESE WORKERS THAT IGNORED ALL THE OBVIOUS SIGNS OF ABUSE WITH THESE. BOYS SHOUD GET CHARGED WITH MURDER AS WELL AS THE PARENTS,EVERYTHING GETS SWEPT UNDER THE RUG AND EVERY WORKER TURNS THE OTHER CHEEK WHEN THEY WANT TO OR FEEL LIKE IT! !& OR THEY ALL STICK TOGETHER TO PROTECT EACH OTHER JUST LIKE THE SCHOOLS,I KNOW CAUSE THERE WAS A SITUATION THAT HAPPENED AT MY SONS SCHOOL RT BEFORE SCHOOL LET OUT FOR SUMMER A KINDERGARDEN CLASS,&THE PRINCIPLE SAID TEACHER WAS UNDER INVESTIGATION [removed]! !SHE WAS GIVEN A 2WEEK VACATION WITH PAY,&PRINCIPLE SAID NO INFO COULD BE GIVIN DUE TO TEACHER BEING UNDER INVESTIGATION AGAIN [removed]!!! THEN PRINCIPLE TELLS 1OF THE MOTHERS THAT NOTHING WILL STICK AS FAR AS COMPLAINTS THAT HV BEEN FILED DUE TO TEACHER BEING UNION&SHE HAS ALOT OF PEOPLE BACKING HER DUE TO THAT&SAID TEACHER IS NOT GOING ANYWHERE &WILL RETURN TO TEACH KINDERGARDEN THIS YEAR SERIOUSLY WHAT IS WRONG WITH THES CPS WORKERS AND TEACHERS THIS IS SICK ,AND IF WE AS PARENTS DONT STAND UP TO THESE WORKERS AND TEACHERS WHO WILL NOBODY THATS WHO NOBODY WE ALL NEED TO PULL TOGETHER AND DO SOMETHING ABOUT THESE WORKERS AND CROOKED TEACHERS WHO KNOWS WHAT TEACHERS ARE DOING TO OUR CHILDREN WHAT ARE THEY REALLY TEACHING OUR CHILDREN,THE CPS WORKERS NEED TO BE CHARGED FOR THEIR NEGLEGENCE,ITS CALLED FAILURE TO PROTECT AND THEY KNOW IT THEY JUST DONT CARE ITS NOT THEIR KIDS,SO SAD GOD BLESS YOU GABRIEL&&ANTHONY REST IN PIECE. What about the three other siblings that were abused? One of them ended up in the hospital. how many more children will have to die before the State of California actually investigates. They always state they are “investigating”, but the children that have passed are put on the back burner. We need to revamp this system, listen to teachers and family members, and hire more social workers. We are a “sanctuary state” and we have enough funds to house those who are illegally then we should have enough to protect our children. One child being tortured by someone who supposedly loves them is one child too many. As for the mothers who choose a man over their children, let me just say there is no *ick that good and God has a special place for you. @ robin this has nothing to do with illegals you sound confused go back and read the article again maybe your comment will make more sense when your on the right topic. Robin is a Trumpist. They don’t feel any need to be on topic, or make sense. They throw in some Trumpist buzz words like “Mexifornia” or “The Wall” or “Sanctuary State,” then rant their racist hate for a bit, and they believe they have said something significant. Trump has shown that it works ON them so Trumpists think it should work FOR them. You are right well said Tim. Actually Tim, Robin is quite sensible and on topic. From financials and legislation to child abuse solutions and auditing – she brought up all valid points. Your argument is close-minded and difficult to debate with. We are a sanctuary state and that implies many different things. Regardless of how you view any human being it is our duty to protect children. This is once again a very tragic and horrific story that has come from a very small and conservative town. Robin is on topic. This is a sanctuary state. She has a valid point. Calm down Scott, you’re the one that’s ranting. You are right, Robin. Sanctuary state…A place of safety, refuge, or protection; should also include abused children, no matter where they are. So where are all the commenters who were originally denying that this had anything to do with the child’s sexual orientation? You were all quick to jump in and say that the kid “wasn’t gay” and you were all pretty much showing your own homophobia. Really? Sexual orientation? Anthony is dead. Also you are talking about a sexually abused 10 year old child. It had been on CPS record “he likes boys” that can mean so many things not sexual. He was sexually abused by a male, I’m pretty sure that the abuse led to a lot of confusion. Gay, straight, bisexual- all irrelevant. @Christy…You said what I was thinking. I have read all of the information available about this innocent child, and it constantly amazes me how the facts become muddied.